P1 Phalaenopsis Orchid Plants Same Day Delivery. 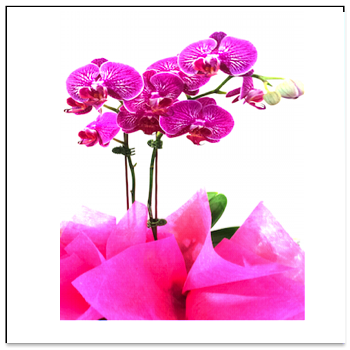 Orchid flowering plant presented in gift box, enhanced with matching tissues and nettings. Lovely!